Rush Hour 4 is something that’s been on our collective radar for, if you can believe it, seven years now. It was only in the last year, however, that the culmination of this culture-clashing buddy cop tetralogy started to look like a real possibility, with Chris Tucker being quoted as saying, “It’s happening.” As Consequence Of Sound reports, we’ve now officially entered the next phase of pre-production hype, in which the stars of the film post cryptic Instagram photos teasing that something is, indeed, happening. 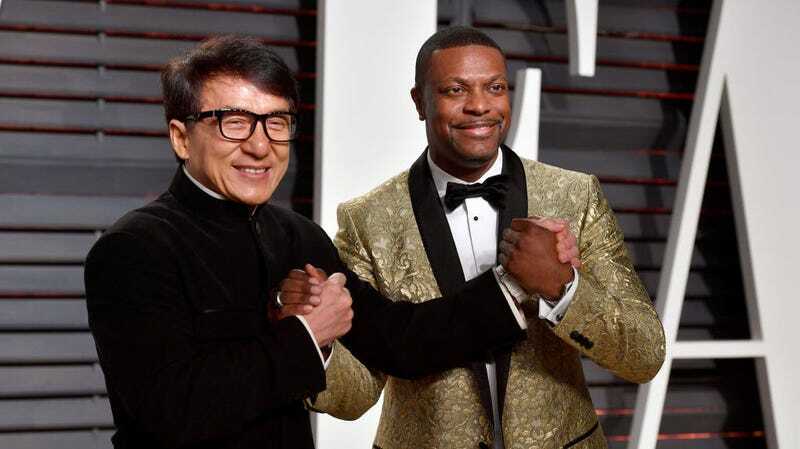 Unfortunately, beyond the fact that Jackie Chan and Chris Tucker know which number movie they’re supposed to be making, this photo doesn’t really tell us much. We’ve known for a while that both stars are more than willing to film another 90 minutes of punching, kicking, and arguing in cars, but until we see some script details, a production timeline, or an attached director that doesn’t have an ever-growing number of sexual harassment allegations, we’re not quite ready to get our hopes up.